On this Outbeat Extra edition of Outbeat News In Depth we celebrate the start of our 10th year on the air at KRCB Radio! 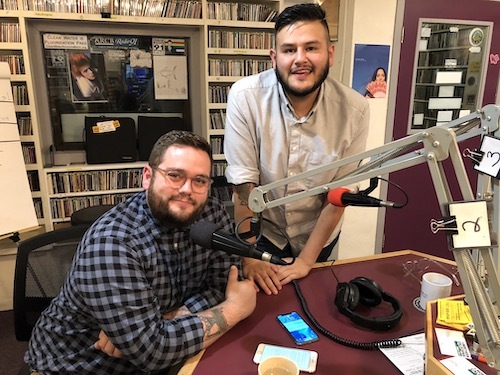 Our very first pilot show featured staff and members from Positive Images and their board president, Christian Sullberg, and his husband, Ozzy Jimenez, who is the Positive Images fundraising chair, joined us to celebrate and to provide an update on all Positive Images is doing to support LGBTQ youth. This organization has been serving Sonoma County for almost 30 years and was the first to do so for LGBTQ youth in the region. We also talked with LGBT Liaison Officer James Gonzales from the San Jose Police Department. LGBT Liaison Officers are not common positions, especially here in the North Bay. Every department should have one because in every jurisdiction, LGBTQ people live, work, and need services from police. Officer Gonzales talked about new legislation that Governor Brown just signed (today in fact) requiring LGBT awareness training for California law enforcement. Tagged AB 2504, christian sullberg, James Gonzales, lgbt liaison, ozzy jimenez, Positive Images, San Jose Police Department. Bookmark the permalink.